We celebrated Mother's Day a few days early this year which was fine by me. The Friday before, Nolan had his 1 year check up in the morning. 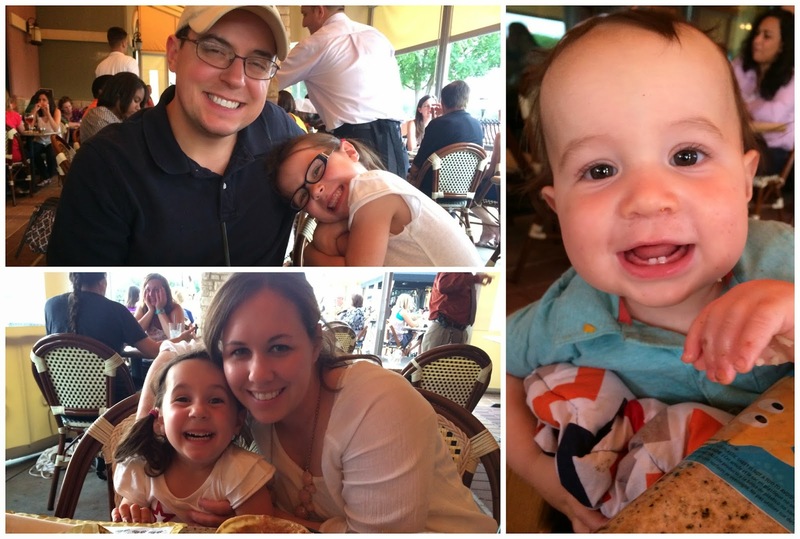 We took the whole family…then made a little outing of lunch and play in the play area at the Galleria. 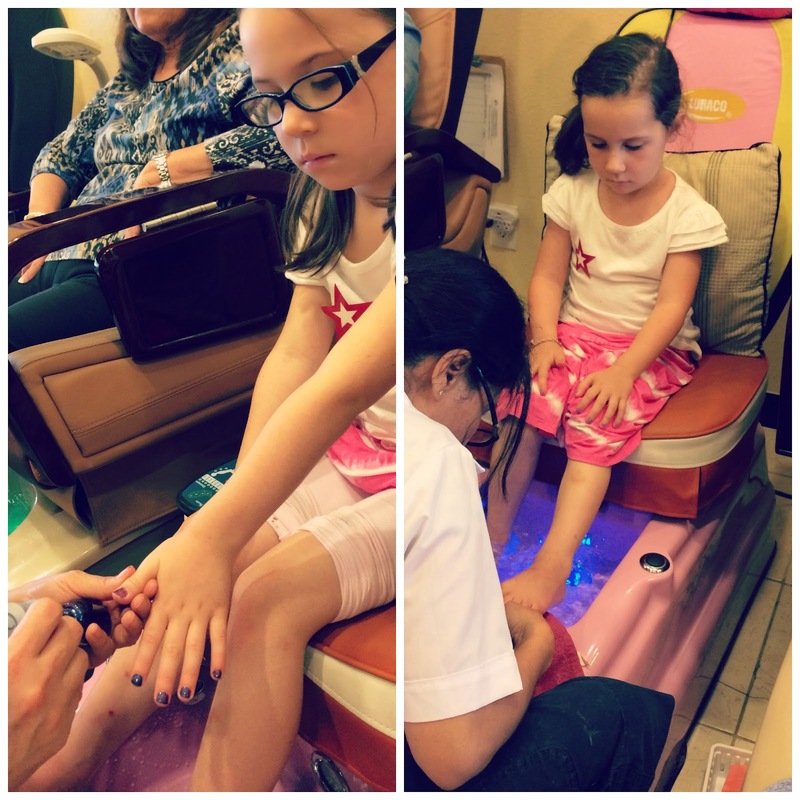 When we got home that afternoon- Nolan took his nap…and the girls and I headed out for pedicures. My favorite food is Mexican food…and it was such a beautiful day out….so we took the whole family and headed to Gloria's to eat and sit on the patio. We enjoyed great food…and the kids were really good, too! After we ate…we decided to just walk around the lake/harbor area for a bit. After we snapped a few pictures and walked around a bit…we were about to head home when we walked right past Coldstone Creamery. 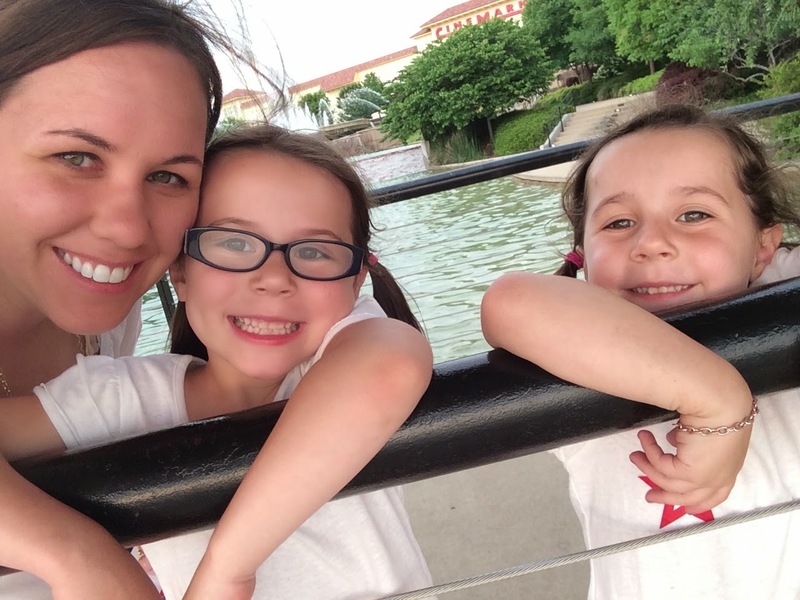 We were having just the best time…I was so laid back about the kids' "schedules"…and didn't care that it was past their bedtime…I was just wanting to enjoy the moment and our time together. So Geoff and I looked at each other and decided we needed ice cream. It was a good choice! We had fun just sitting right outside and enjoying our dessert and each other. Oh…and just so I don't forget….we all got single scoop cones. Grace licked her scoop right off the cone….TWICE! Haha! I had to laugh. The first scoop she lost fell in the store so they gave her another. The second one fell outside…and Daddy was sweet enough to give her his. 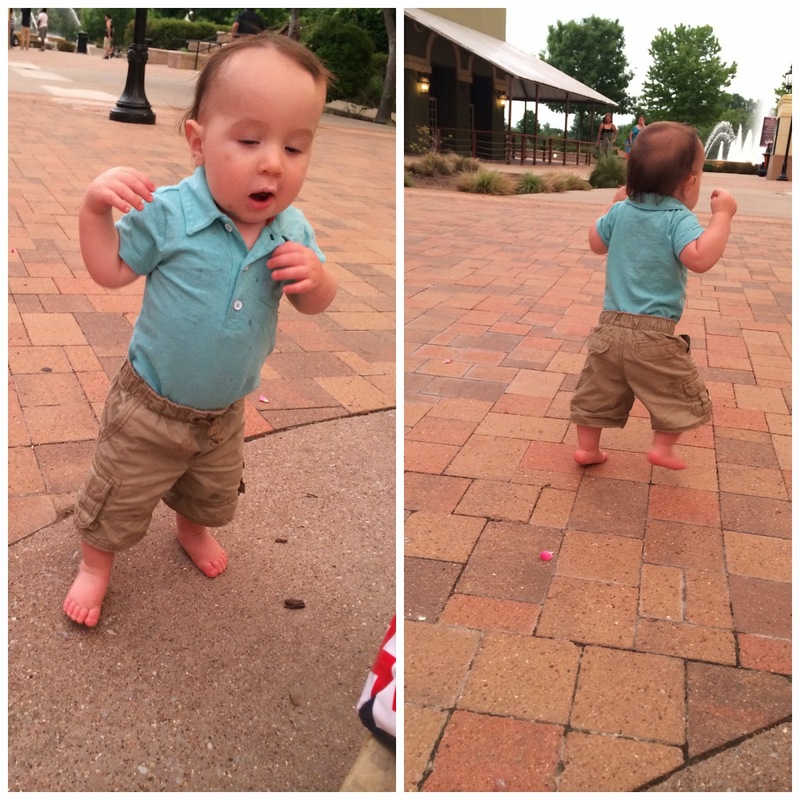 Nolan loves ice cream (and pretty much anything we are eating). He was so funny. He'd take a lick…walk off…then come right back. It was like he was connected by a little bungee cord because he wouldn't go too far and come right back. Just so blessed and thankful to be their mother. I pray that I'm the mother God's called me to be. To train them up the way they should go. Nothing like a Family PJ day huh? Glad you had a wonderful Mother's Day, no matter what day you celebrated it. My my eyes you are having about 365 of them a year sweet girl. Wonderful Mommy, Daddy and 3 beautiful, sweet children!